Mens woven boxer shorts in drawstring bag. Crafted locally from a 55% hemp, 45% organic cotton blend fabric, these breathable and light weight woven shorts are ideal for sleep or underwear. 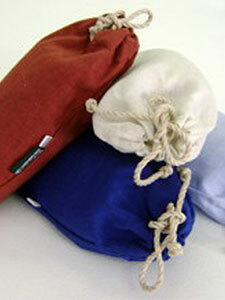 Packed in a drawstring woven bag, they are also perfect for an eco-friendly gift. Hip measured 15cm below waistband.